When it comes to planning an event, it pays to hire the right people. How many people are attending? How large should your venue be to hold all the guests? Should you plan indoor or outdoor? Location is vital to planning an event, which is where LUX Catering and Events comes into help! Our experts specialize in event planning, and we have several venues throughout Utah that can assist with planning the perfect event. Here are a few things you need to know about location and how it does directly impact your event. As you define your event, you want to list several things about your audience. Company events are normally easy to define for internal events, but larger events can pose more of a challenge. Planning a conference or larger event can pose difficulties if you aren’t sure where to get started. Weddings and other social events can be easier to define as most people are looking for an event that allows them to have a relaxing, fun, and social environment. If you have people flying in from out of state, that is another factor to consider when selecting the right venue. When planning any event, it is important to determine how many people will end up coming to the event. If you have a venue that isn’t large enough, it can lead to event failure. Of course, if you have a venue that is too large, your event may feel underwhelming for most people. When selecting the venue, you must also consider parking fees that may be attached to the event and if the guests will be expected to pay for the parking fees. Selecting a venue that is a central location for guests can improve the ability for people to attend the event. Do you want to select a downtown location, or are you considering an event that is outdoors and in the mountains? 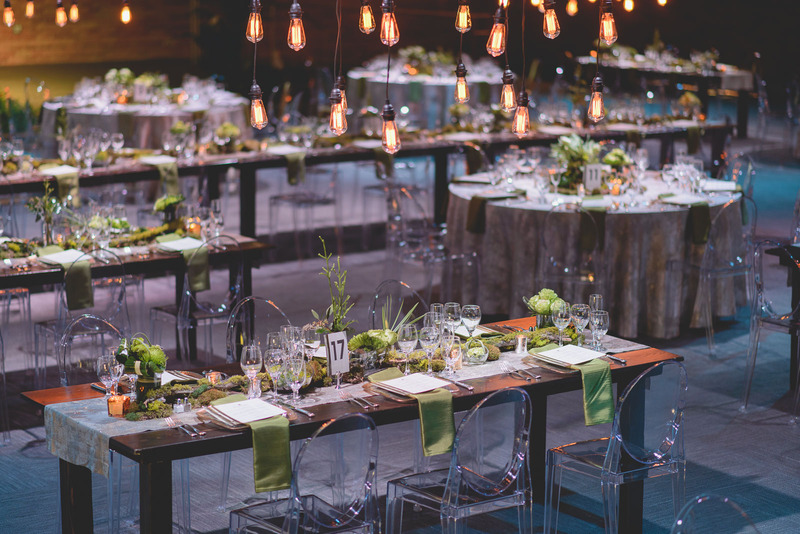 The more you can plan for an event that is centered around your guests needs, the easier it will be for you to choose a venue that meets all your checkboxes, and theirs. Certain venues comes with everything you need to host the perfect event. The atmosphere needs to leave the guests behind with the feeling that creates a life-long memory. Location is a key part of this as people do remember things like a beautiful hotel or a gorgeous outdoor venue. The more you can focus on creating the right atmosphere, the easier it will be for your guests to feel valued and to feel that the entire event was ideal. Hiring an event planner is one of the best ways to focus on your other needs while someone else does all the hard work. LUX specializes in creating long-lasting events thanks to our expert team members. We have the ability to assist in finding the ideal location, creating the best ambiance, and building a successful event. Give us a call to get started on your next event!